At-Large Cherokee Nation Citizens who reside in a HUD-Designated area may be eligible to apply for Section 184 Native American Home Loans through the US Department of Housing and Urban Development. 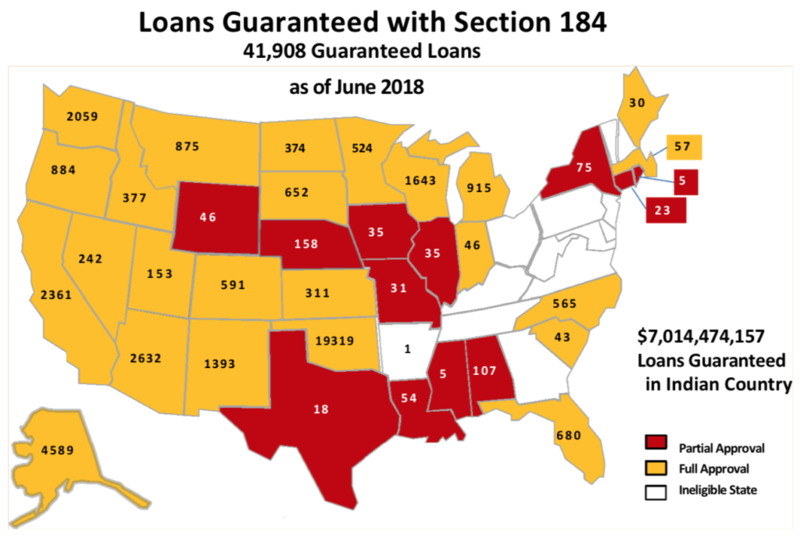 ***NOTICE*** Due to recent changes in HUD regulations, certain areas reflected on the map below, provided to the Cherokee Nation by HUD, may no longer qualify for HUD 184 loans. Please check the HUD website (link below) for more information. The Section 184 Loan Guarantee Program was designed to increase lending to Native American and Alaskan Native communities that were traditionally underserved by financial institutions. The Section 184 mortgage loans are guaranteed 100% by the Office of Loan Guarantee within HUD’s Office of Native American Programs. This guarantee encourages national and local lenders to extend financing to Native Americans and increases the marketability of their current assets and future investments. Before meeting with a lender, it is recommended that you prepare for the home buying process by attending a homebuyer class or counseling session. Understanding what it takes to qualify for a loan can help you prepare for meeting with a lender. Although these classes are not mandatory, they are greatly beneficial to you. Some lenders or Tribes will even offer financial assistance to borrowers who attend these classes. For complete program information and geographic eligibility, visit HUD’s Section 184 Indian Home Loan Guarantee Program website.